This is a “star-shaped” micro percoir, coming from a 19th century collection from the La Madeleine site in the Vezere Valley. Peyrony described some Badegoulian tools from the basal layers, but the stone tool could also come from later Magdalenian strata (III-VI; see below). The Old-World Paleolithic knows several Upper Paleolithic technocomplexes characterized by single or multiple Micropercoirs or small becs. While in Western / Central Europe the Badegoulian and the Magdalenian after 20 k.a. Cal. BP are the technological substrate for such an evolution, we find multiple Micropercoirs in the Epigravettian of Mezine at 15 k.a. Cal. BP certainly indicating some technologically convergence. Here I use the definition of the Magdalenian, created by Breuil in 1912 and modified by Bordes and Sonneville-Bordes, Allain, Bosselin and Djindjian and Kozłowski. The Post-Solutrean in the Greater Aquitaine beginns with a Magdalenian 0 which was defined according to observations by F. Bordes at the rock shelter of Laugerie-Haute Est and preceded the Magdalenian I (sensu Breuil). Both entities are now referred to as Badegoulian. 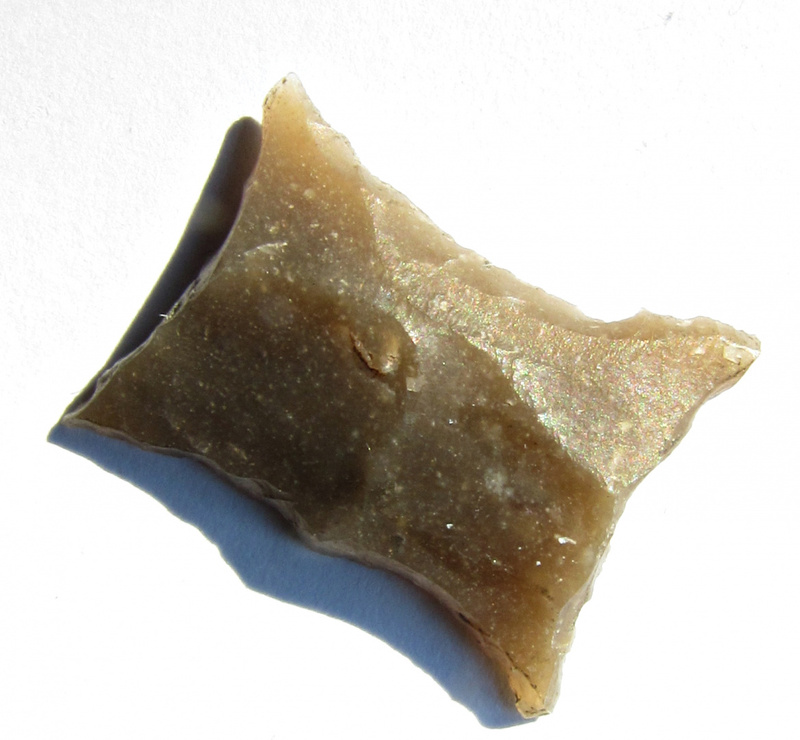 Technologically, the Badegoulian lithic industry differs considerably from the Solutrean. Bifacial retouche disappears and tools were made on flakes, which gives the Badegoulian industry a crude and coarse appearance. The lithic raw material in the Badegoulian assemblages is dominated by local sources often of poor quality, which has been usually procured in a 30 km radius of the site. Unlike the more exotic procurement strategy, which is observed in the Magdalenian. The preferred raw material in the Badegoulian is various types of flint, but they have also used quartzite in their tool production. Typologically, the Badegoulian is characterized by the frequent use of flakes for tool production, multiple raclettes and the occurrence of transversal burins, multiple, “star-shaped” percoirs and becs, as well as carinated scrapers, and side scrapers. 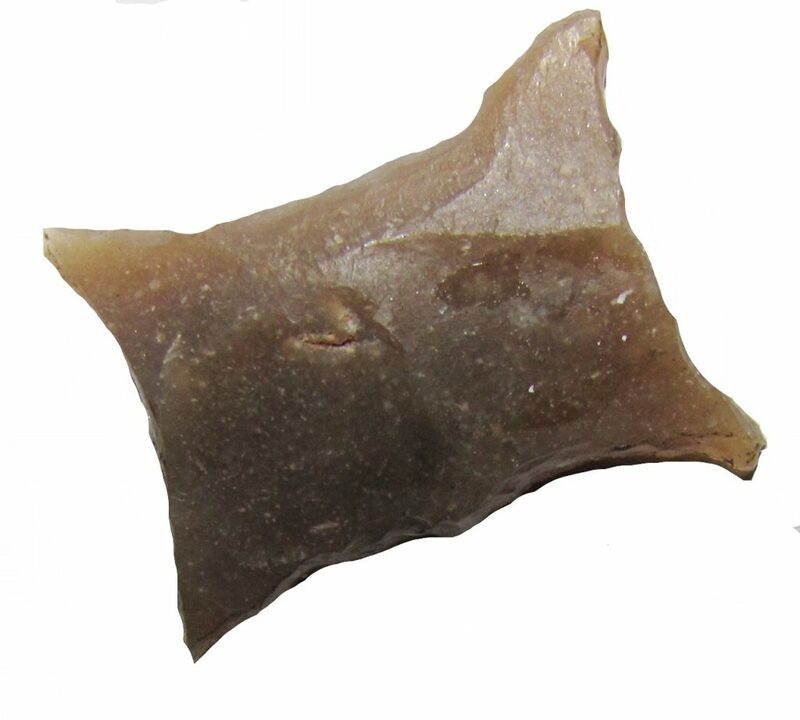 Dihedral burins and backed bladelets are rather scarce, and lithic triangles are virtually absent. J. Allain emphasized the separation between Magdalenian and Badegoulian based on his works at the Fritsch rock shelter and subdivided the Badegoulian into two phases: an older phase without raclettes and a younger one with raclettes. There are several sites besides Abri Fritsch such as Laugerie-Haute, Badegoule, Cassegros, le Cuzoul and Pégourié, where both the early and late phase of the Badegoulian culture has been observed. Blades and an independent bladelet production ( with secondary products:“pièce de la Bertonneare”) were present during the Badegoulian, but in smaller quantities compared to the Magdalenian. The definition of the early and middle Magdalenian has also underwent several modifications during the last 50 years. In 1985, J. Allain, R. Desbrosse, J.K. Kozłowski, and A. Rigaud introduced an additional Magdalenian facies, the Magdalenian à navettes, which is mainly characterized by the occurrence of a specific organic artifact, the so-called navette. Chronologically, this tool appears to be contemporaneous with organic points of the type Lussac-Angles and with lithic triangles and thus to be restricted to the period before the advent of barbed points phase(the Late Magdalenian). One of the most substantial critiques of the six-phase classification was expressed in a 1988 study by B. Bosselin and F. Djindjian on the chronological significance of Magdalenian and Badegoulian lithic tool types. For a profound evaluation of the archaeological record, they calculated an extensive Correspondence Analysis using data on 19 tool types from 103 sites in France. According to Bosselin and Djindjian’s analysis, only four groups of lithic tool types could be found which possess a temporal significance. The oldest group corresponds to an older Badegoulian with transversal burins and a low proportion of raclettes, while the second group corresponds to a younger Badegoulian and shows high proportions of raclettes. The two remaining groups are attributed to the Magdalenian and differ mainly in terms of the presence (older group, M0) and absence (younger group, M1) of lithic triangles. While the combination of multiple raclettes, transversal burins, multiple, “star-shaped” percoirs and becs (5-15%), and carinated pieces, is certainly very typical for a Badegoulian, isolated findigs of multiple Percoirs are not diagnostic for this entity. We even do not know the functional status of these artifacts. Typically, they occur in the "Magdalenian 0/1" at Laugerie haute in a Badegoulian context, but also in the "Magdalenian III" at Abri Reverdit at Segeac, certainly a site without any Badegoulian affinities. The same holds through at the Middle Magdalenian at the Grotte de la Marche with 286 single or multiple small and often multiple perçoirs. At the Abri de Duruthy, 4 Magdalenian levels have been distinguished, overlaid by an Azilian and a Chalcolithic layer. The Magdalenian III and IV levels between 17,4 Cal BP and 16,4 cal BP show single and multiple micropercoirs, indistinguishable from Badegoulian ones. Even the upper layers of Beauregard (late Magdalenian) show very similar multiple geometric micropercoirs. Going to Central Europe, the Grubgraben-Kammern site dated around the LGM (C-14 non calibrated: 18-19 k.a.) and remains the best example for a Middle European Badegoulian with multiple percoirs (4%) and raclettes. The site of Wiesbaden-Igstadt in the central Rhineland , the Kastelhöhle-Nord Middle Horizon in the Swiss Jura and the Zoitzberg scatter close to Gera in Thuringia reveal great similarities to the early Badegoulian and may indicate an extension of the technocomplex to central Europe during short episodes at ca. 20 k.a. Cal BP.